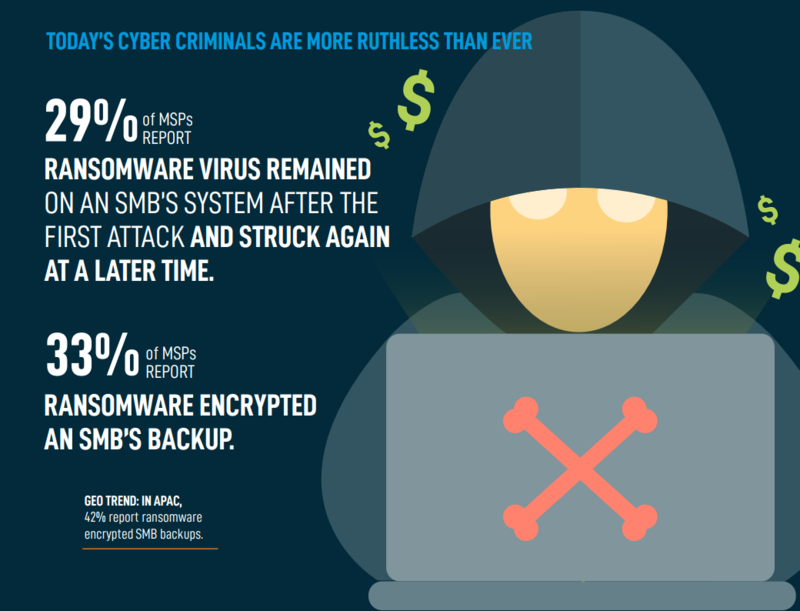 The SMB Ransomware Epidemic – Get the Facts! If you become one of the many victims, what’s your next move? Check out the State of the 2017 Channel Ransomware Report and get proactive with your cybersecurity plan today. With survey findings gathered from 1,700+ Managed Service Providers (MSPs) serving 100,000+ small-to-mid-sized businesses (SMBs) around the globe, Datto’s State of the Channel Ransomware Report provides unique visibility into the state of ransomware from the perspective of the IT Channel and their SMB clients who are dealing with these infections on a daily basis. The report provides a wealth of detail on ransomware, including year-over-year trends, frequency, targets, impact, and recommendations for ensuring recovery and continuity in the face of the growing threat. This report covers the evolution of ransomware from Q2 2016 to Q2 2017.